Acrylic, spray paint and incising on pressed hardboard/ masonite. 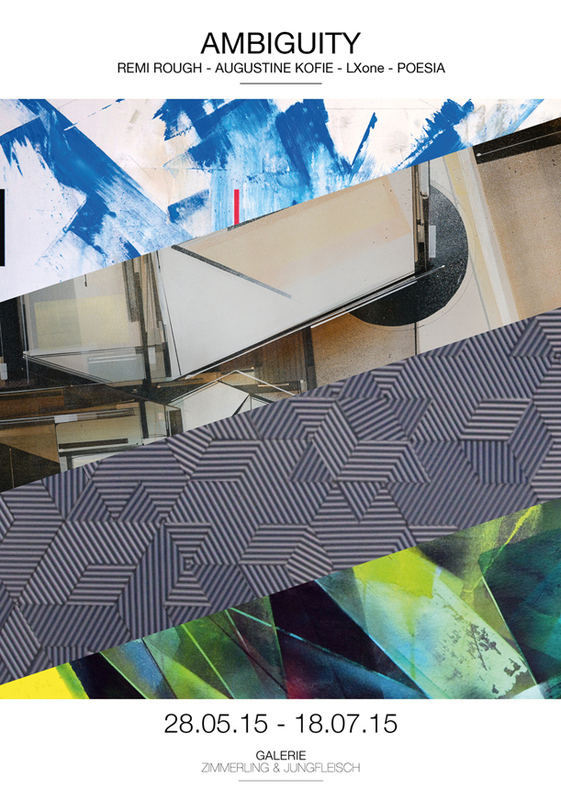 Galerie ZIMMERLING & JUNGFLEISCH is pleased to present AMBIGUITY, an impressive group exhibition that brings together four international urban contemporary artists who work within the scope of Abstract Art. ZIMMERLING & JUNGFLEISCH has curated a lineup of leading graffiti artists, who are all members of the global arts collective Agents of Change (AOC) or part of the popular Graffuturism Movement. 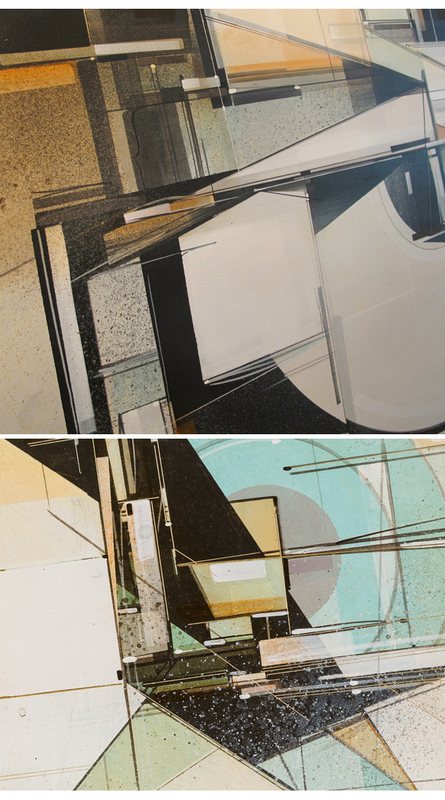 The gallery artists that will be featured in the show – Remi Rough, Augustine Kofie, LX.One, and Poesia – not only share their graffiti background but also their fascination for Abstraction. The title AMBIGUITY was chosen by the artists themselves and appears as a perfect show title when it comes to describing all of their works collectively. Each artist‘s work is similar in a way that it references something familiar to get something innovative and new. The ambitious nature of the works are a different and unique artistic approach. Although, the four exhibiting artists concentrate on Abstract Art, they refer to distinct art forms such as Futurism, Suprematism, and Op-Art. AMBIGUITY represents an alluding to something without saying it directly and without defining it exactly. It induces the viewer to think about of all those various forms of art.